This MoFo recipe comes from Greece. I've always wanted to play with phyllo sheets but didn't know how difficult they were to work with. 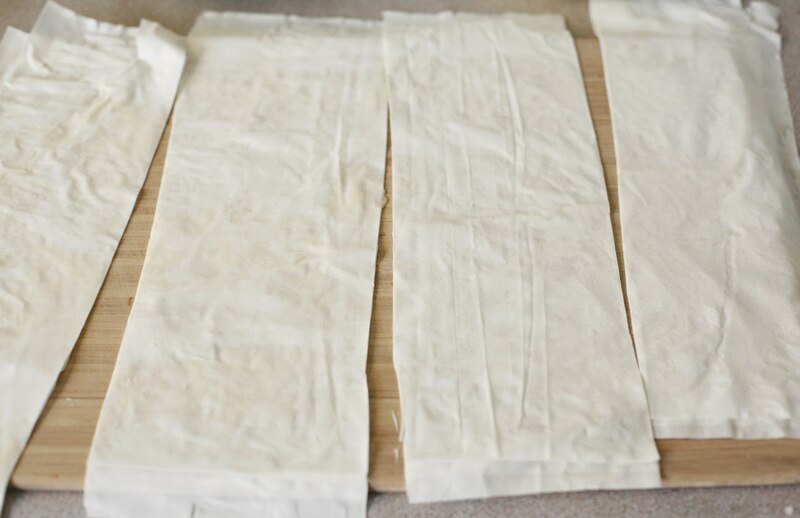 They rip really easily and will dry out fast, so keeping them covered with a damp towel constantly is a must. But in the end, it was worth the extra headache because these little triangles came out tasting great. 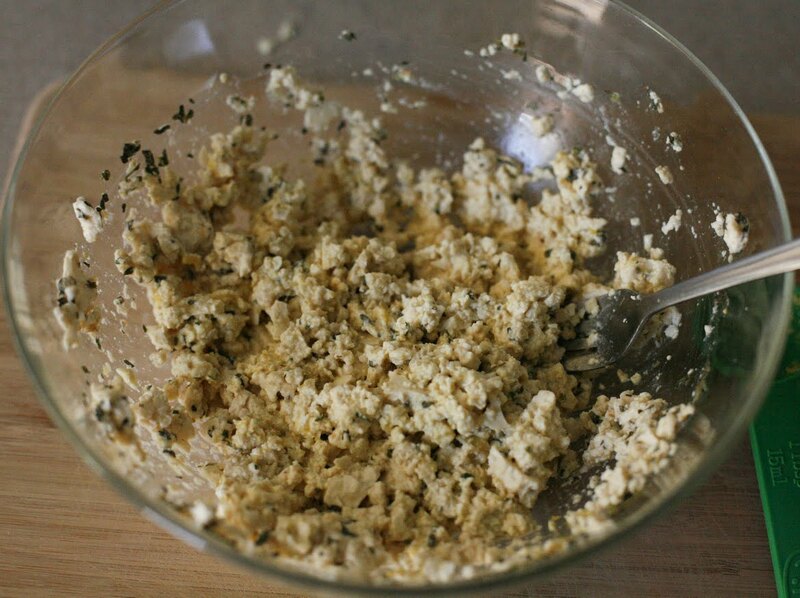 I used this recipe for the Feta Cheese. 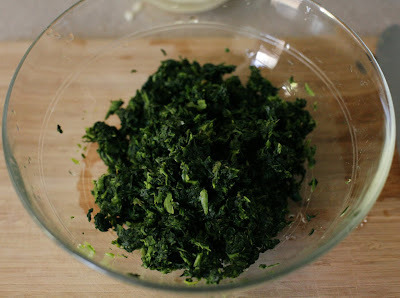 I also went with frozen spinach instead of fresh because it was cheaper and required less work. 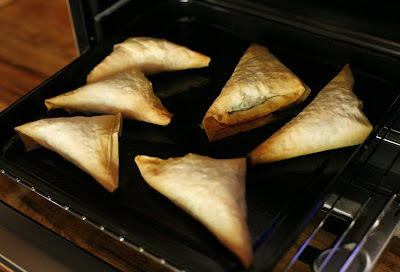 I served these triangles with a side of salad and greek green beans. 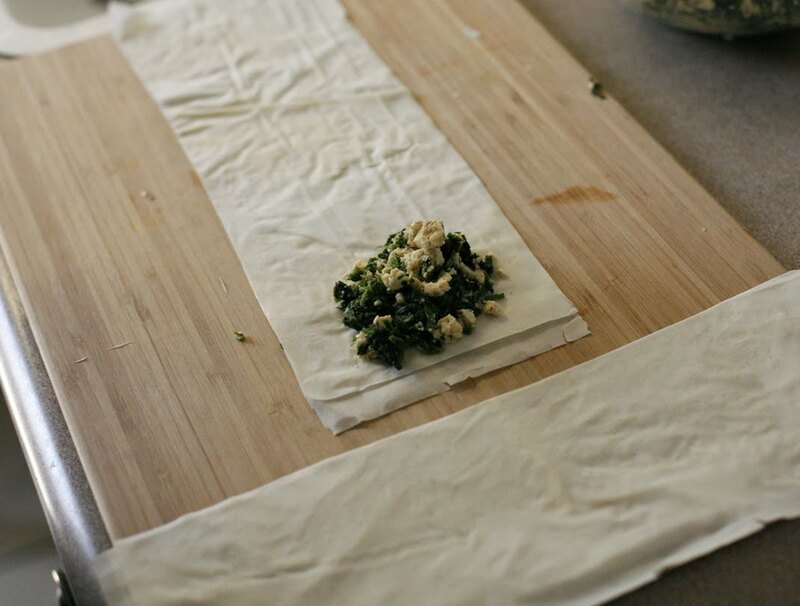 If you plan on making these ahead of time, freeze them right after folding. When you are ready to serve, bake them straight from the freezer, just add an additional 10 minutes to their baking time. 1. Preheat oven to 350 F. Grease a baking sheet lightly with olive oil. 3. In a large bowl, combine chopped spinach, parsley, feta cheese and nutmeg. Add salt and pepper to taste. Set aside. 4. 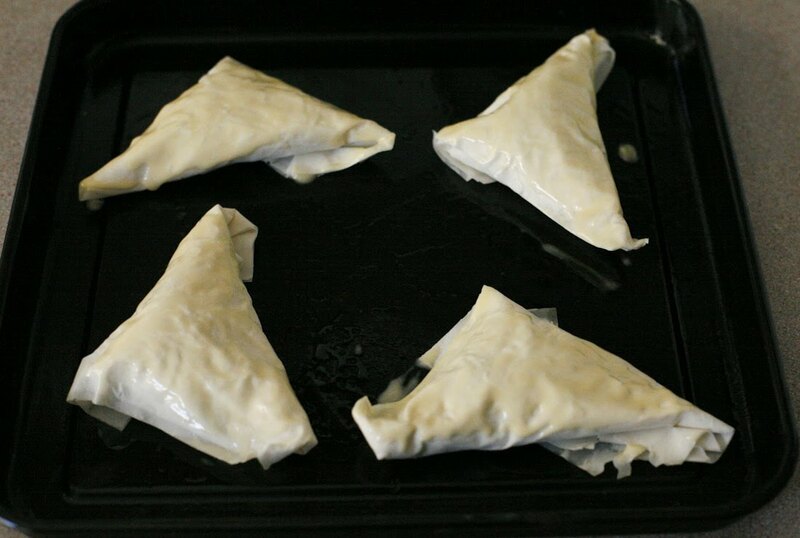 To make the triangles. Add melted butter in a small bowl with a pastry brush. 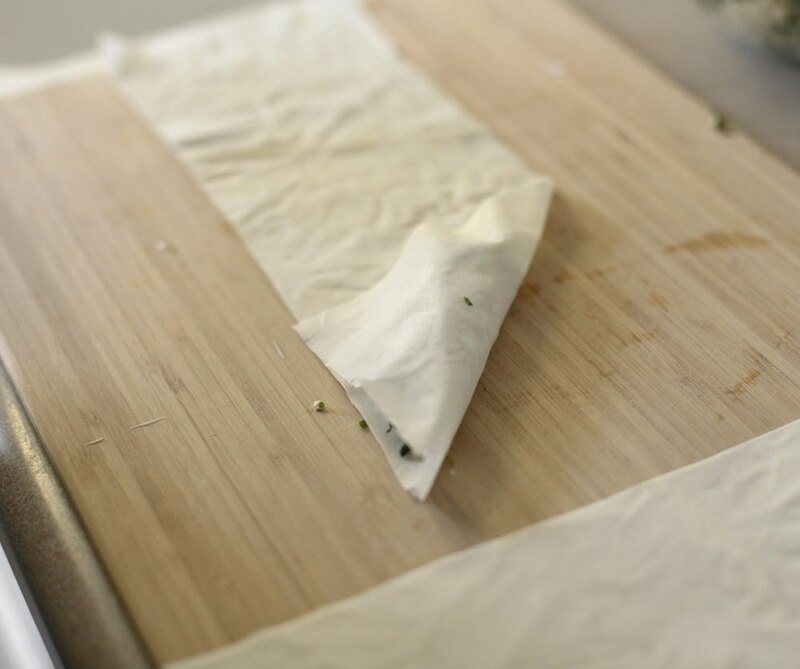 Lay flatten layer of phyllo sheets on a counter top and cover loosely with a damp towel. 5. 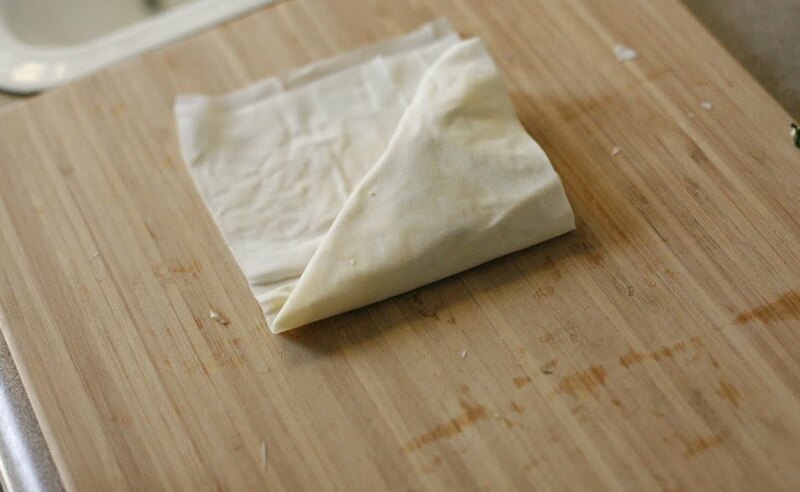 Place one piece of phyllo dough on a cutting board, brush with melted butter, top with another layer of phyllo sheet, brush with more butter, and add a third layer of phyllo sheet on top. 6. 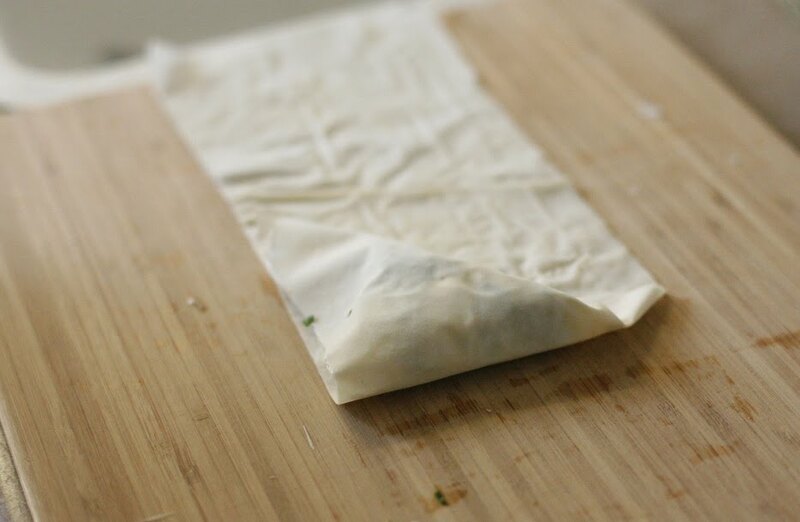 Slice the buttered phyllo stack lengthwise into strips that are about 3 inches wide. You should get about 3 to 4 slices. 7. 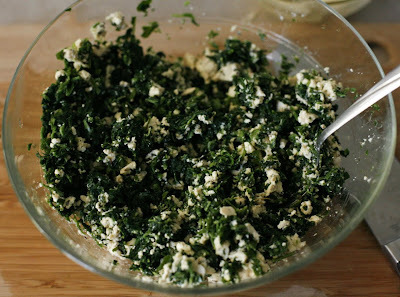 On one strips spoon about 1 tablespoon of spinach and feta cheese filling at one end of the phyllo strip. 8. 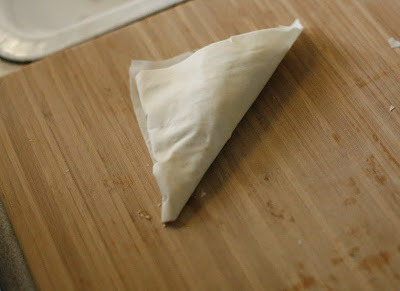 Fold one corner of the phyllo over the filling to the other edge to make a triangle. 9. Fold the filling end over and keep repeating throughout the strip. 10. 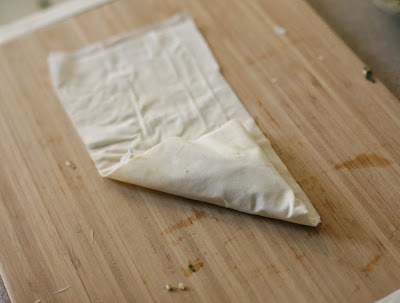 Put the finished phyllo triangle seam side down on a baking sheet and cover with another damp towel. 11. Continue doing this until all the filling is gone. Right before baking brush more melted butter on top of each phyllo triangle. 12. Bake in the middle of the oven until golden brown, about 20 to 25 minutes. Transfer to a wire rack to cool for about 10 to 15 minutes. Serve immediately after the cool time. 1. Press and drain tofu and then add it to a medium sized bowl. Break it apart using a fork into large pieces. 2. 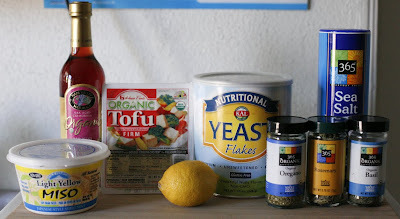 In a separate small bowl, whisk all the remaining ingredients, except for the nutritional yeast, together. 3. 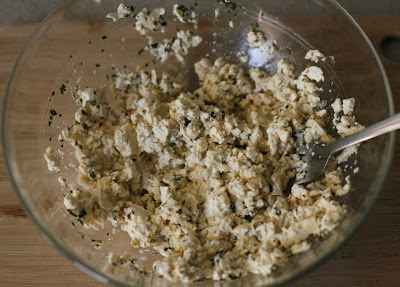 Pour over tofu and mix with a fork, breaking it apart more into smaller pieces . 4. Sprinkle nutritional yeast over mixture and mix again. 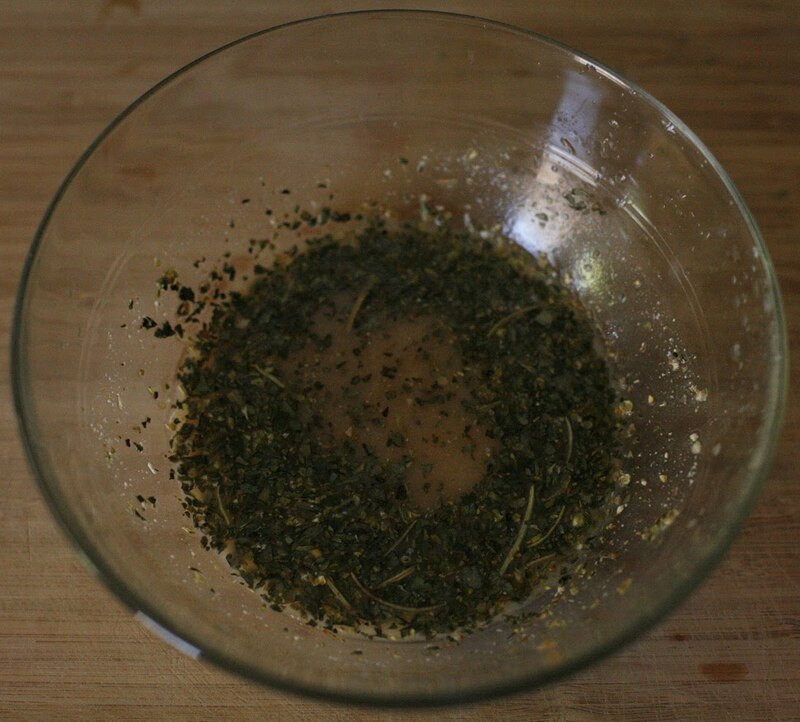 Taste and adjust seasonings to taste, if desired. These look perfect! Thanks for the how-to shots too. That "feta" sounds really tasty too. I can imagine these went great with the green bean salad; I love green beans and tomatoes together. Beautiful! Great idea. I love spanakopita. This is absolutely beautiful. Love the in progress shots! They look perfect! Beautiful photos too. Yum, Jacklyn! These look absolutely wonderful-a true vegan treat if you ask me! Oh, and I work with phyllo dough sometimes. It is a pain, but the results are always so nice. True dat! This is beyond incredible, especially for a first try working with phyllo. Yum! 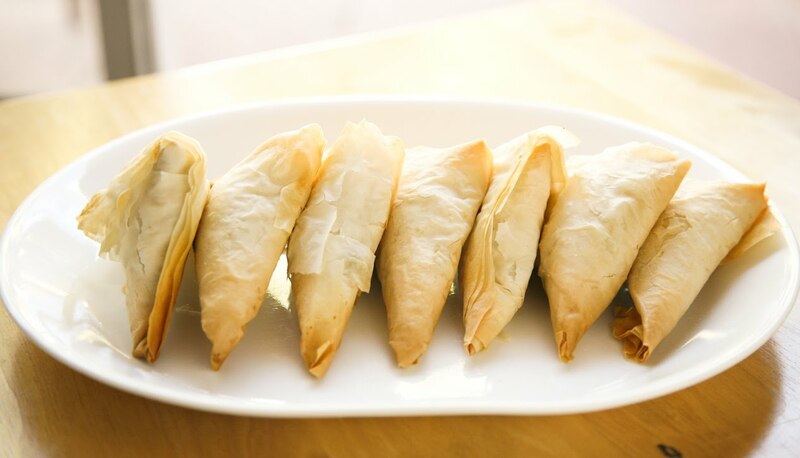 Love these vegan phyllo pastry! The filling of spinach and vegan feat sounds really great. Nice! You did such a beautiful job with this recipe. I love all the detailed photos. Thanks for sharing. Yum, your blog always makes me so hungry! 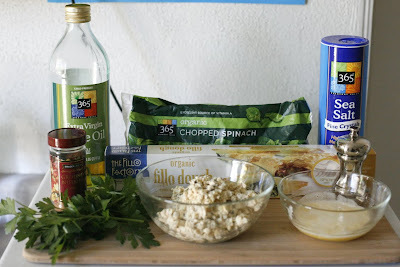 I've never looked at the ingredients on Phyllo Dough...I'm amazed that it is vegan. 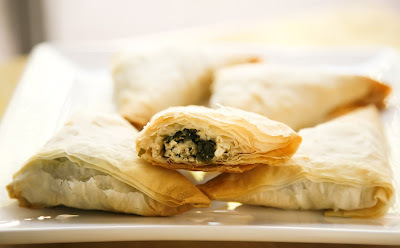 Love spanakopita! I love spanakopita so very much. This looks so delicious! I am thinking this will make a nice addition to out Thanksgiving dinner! perfect ! spanakopita is greeeeat ! thanks for all the recipesand step-by-steps !!! Your photos totally sold it- This looks so good, and easy! The perfect sort of holiday party appetizer. I made these once for my girlfriend who is really picky with vegetables she likes and isn't vegan or vegetarian. They turned out great. I really like em. I'm about to make them again right now.